I do dream almost every night, but usually wake up with only a vague recollection of the actual dream. When I was young, I kept a dream diary and still vividly recall some of those – riding on white horses with The Beatles (yes, I was a Beatlemaniac), a very cool castle under the ocean. Last night’s dream, I remember because it was kind of awful. I was forced to return to a job I hated, one that stole all my energy and time and focus. I was miserable when I worked there because I had zero time to write. Long, long ago in a galaxy far away.... lol. A solitary childhood brought out the writer in me at age 11, mainly poems back then. I was on the school newspaper staffs, and loved essays. In my 20s, I turned to fiction, though I didn’t seriously pursue publication for another decade, at least. 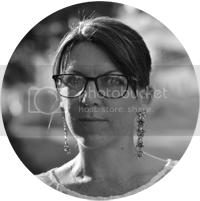 Aside from a few short stories published in literary magazines and ezines, my first stories were with online publishers in 2009. I love the humor of chick lit, but love that it’s also so realistic. The heroines are women I’d love to befriend! I read any genre, really, if the book blurb catches my interest. I’m not a fan of labels, actually. Love to! 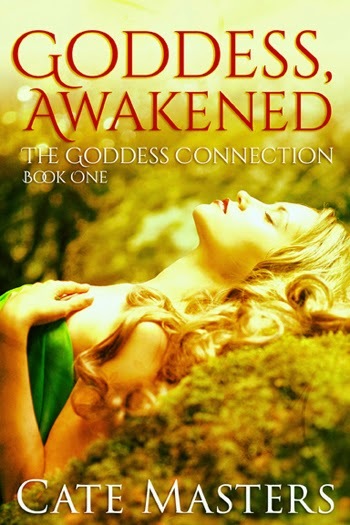 Goddess, Awakened is the first in The Goddess Connection series, in which every heroine learns she’s related to a goddess. For this book, the goddess is Iris, a somewhat obscure goddess but she seemed perfect when I learned she was the Goddess of the Rainbow, the bridge between mortals and the realm beyond. The heroine’s a little different too – she’s in her forties, widowed, and in starting her life over, she purchases a rundown bed and breakfast, in hopes customers will love the dishes she makes with the lavender she grows. Little does she know it sits atop a ley line, and those in The Underworld want to gain control of its power. The Goddess Connection series tag line is: Every woman should embrace her inner goddess. I’m very passionate about this idea! Too many women are so busy taking care of everyone else in their lives, they don’t nurture themselves enough. Although every book in this series will be a stand-alone, another common thread is that each heroine’s lifelong quirks will become her strengths. Another idea I love – that being different is wonderful, and everyone should develop their talents and follow their bliss. Lastly, I’m a huge fan of mythology, so had great fun researching and writing these stories. I have the draft of another finished, and am more than halfway done with the third. The publishers assign cover artists, but do ask for suggestions so writers can have some input. For the ones I self-pubbed, I designed those covers. I love working with graphics – designing ads and book videos are a good creative outlet for me too. I had an entire cast already assembled, lol. Hm, the one that springs to mind is Bridget Jones, though I’m sure I’ve seen others! Dirty Magic by Jaye Wells, an action-packed paranormal set in a unique world, and Alice Hoffman’s The Museum of Extraordinary Things – love, love love her magical realism. Gosh, there are so many! Honestly, so many wonderful writers are published by electronic presses who deserve widespread recognition. 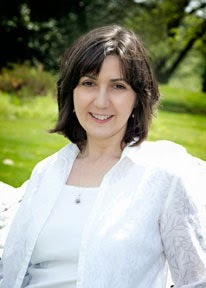 Maria Zannini, for example – a fantastic author. Everyone should check her out. Mostly in my office, though I sometimes cart my laptop outside. I’ve also been known to scribble in notebooks in the car. According to the Buzzfeed quiz I took awhile back, Tina Fey. I agree, I think she’d be great! My town doesn’t appear on most maps. It’s rather remote, and our house is set among the apple orchards. Absolutely gorgeous during any season. To keep writing! And hopefully pleasing readers, enough so my books make it onto the bestseller lists! I’ve long wanted to travel around the world, and there are several writing workshops that would combine those two loves! One is Francis Ford Coppolla’s workshop in Belize, and another is in Italy. Originally, I wanted to be a journalist, or possibly a photojournalist. That changed when I fell in love with fiction. Thanks again for having me today, Suzy! It was a real pleasure. I love the TV show Grim also and love how they introduce a lot of mythological characters. I came from a family of seven kids too. Yes! I love Grimm too, and miss it. These summer seasons stretch too long nowadays. Can't wait for Sleepy Hollow to return too. Hopefully you spot someone reading your book, Cate. I've never dreamed a storyline either. I'm envious of people who do. Or maybe not - their brains must never shut off! That would be a cool thing, to see someone reading my book. Thanks Alex!